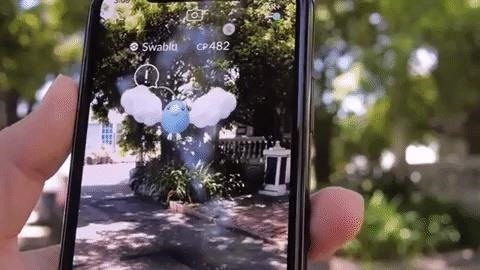 Players of Pokémon GO on Android now have a reason to turn on AR mode with the release of AR+ support via ARCore. Pokémon GO enthusiasts on iOS have had access to AR+ mode on ARKit-compatible iPhones and iPads (yes, I can attest to playing the game on a tablet, don't @ me) since Dec. 2017. 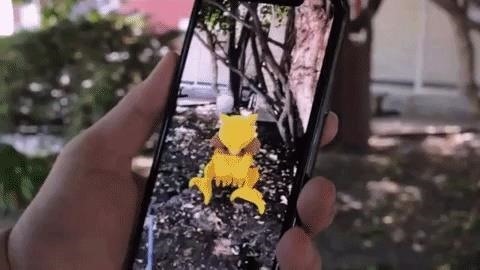 Thanks to the horizontal surface detection in the respective AR toolkits, Pokémon appear anchored to the ground or other flat surfaces and locked into their appropriate scale based on their distance from the player, making the character encounters a more realistic experience. The update comes just in time for players to hunt down the mysterious Meltan, the first Pokémon to be introduced through Pokémon GO. The character will be available through a Special Research mission in the game coming later this year. With addition of support for Pixel 3 and 3XL, LG G7 One and V40, ASUS ROG Phone, Huawei Mate 20 Lite and Y9 2019, and Acer Chromebook Tab 10 since our last report, ARCore now supports more than 70 Android devices (as well as nine handsets in China and 12 iOS devices for Cloud Anchors support). So there's a good chance that Pokémon GO players with a recently-released Android device (aside from budget phones) will have access to turn the enhanced AR mode. ARCore has been officially available since February, whereas it only took the company about three months from the release of ARKit to add AR+ mode for the iOS version. However, Niantic had early access to ARKit, so really, the development timeline appears to be relatively even. Of course, Niantic has more than a few irons in the fire, with Harry Potter: Wizards Unite due for release later this year, a reboot of Ingress in the works, and testing for its Niantic Real World Platform underway. So, by all accounts, Niantic has done yeoman's work to ensure players on both mobile platforms can access AR+.